I spent a good portion of the day yesterday at the airport in Bergen. Since I had to check out of my apartment by noon, and my flight to Trondheim wasn’t until 15:45, and I didn’t want to haul my luggage around, I just went to the airport early. 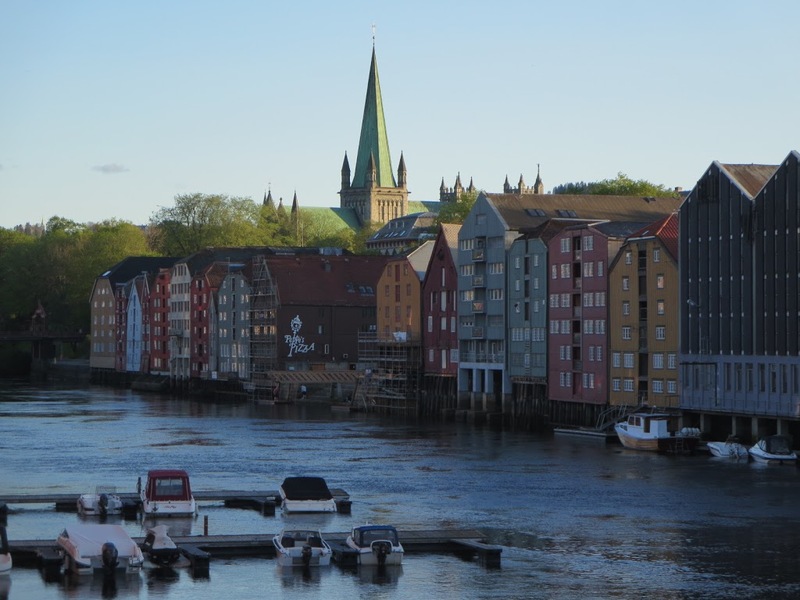 But I made up for it beforehand by going for a nice walk around an area of Bergen I hadn’t been to yet, and I made up for it afterwards by wandering around Trondheim after dinner nearly until sunset, which was at 22:59. Since there is rain in the forecast for today, I wanted to see as much as I could when the weather was beautiful, and last night it was as close to perfect as it gets. It was still perfect this morning, and I went for an early walk (in part to find breakfast, but it took me two hours to find an open cafe; even Starbucks and McDonald’s were closed). A tad bit of drizzle just started, so I came back home to catch up on the blog before I go hear Stravinsky at Nidaros Domkirke. 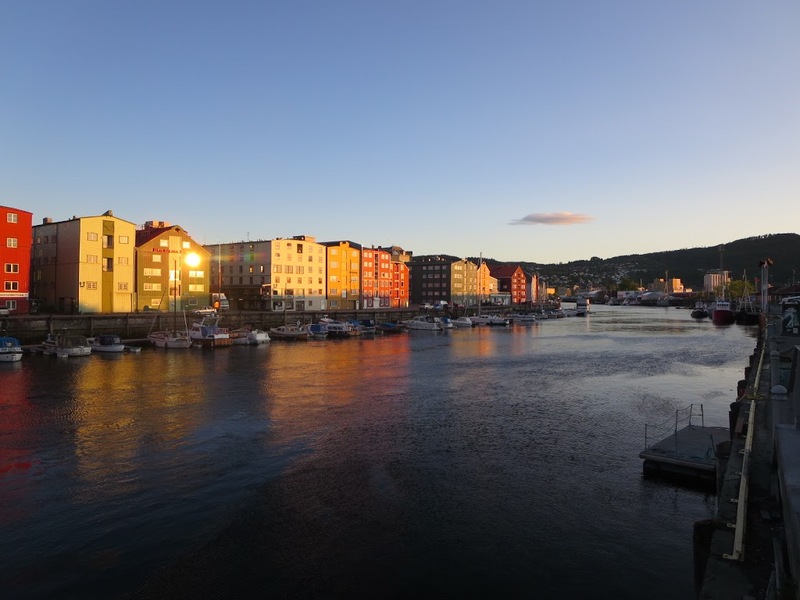 Yesterday I was thinking that Trondheim is like Bergen without the cruise ships, but I know this is a stop on the Hurtigruten cruise up along the coast of Norway, and sure enough, this morning there were cruise passengers on buses being disgorged at various locations around town. 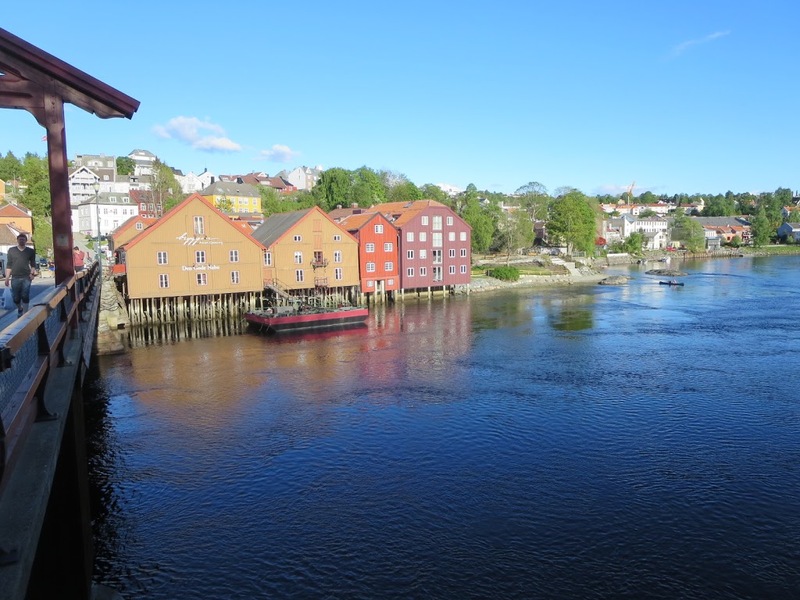 Still, it is a very attractive city, especially the area where I’m staying, with rows of houses and shops and restaurants, and along the Nidelva River. 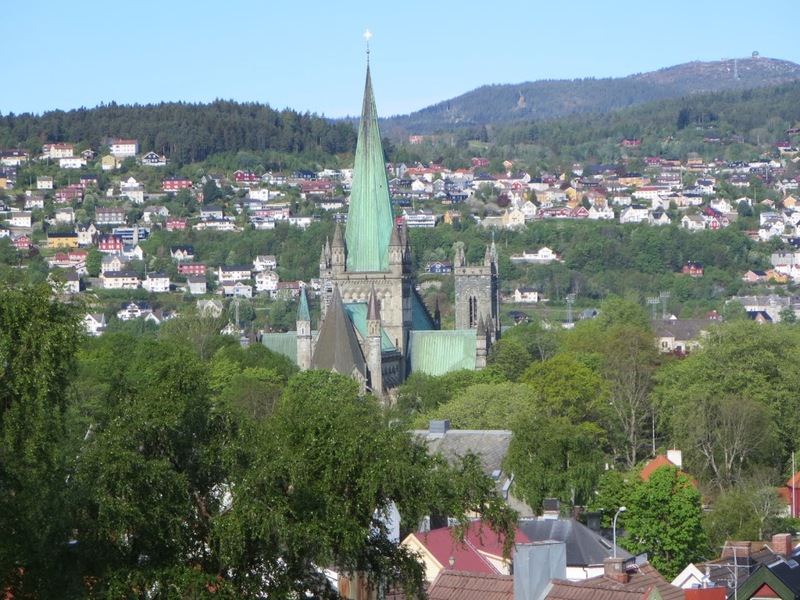 The Nidaros Domkirke dominates the skyline (such as it is) of Trondheim. This is taken from the hills across the river. 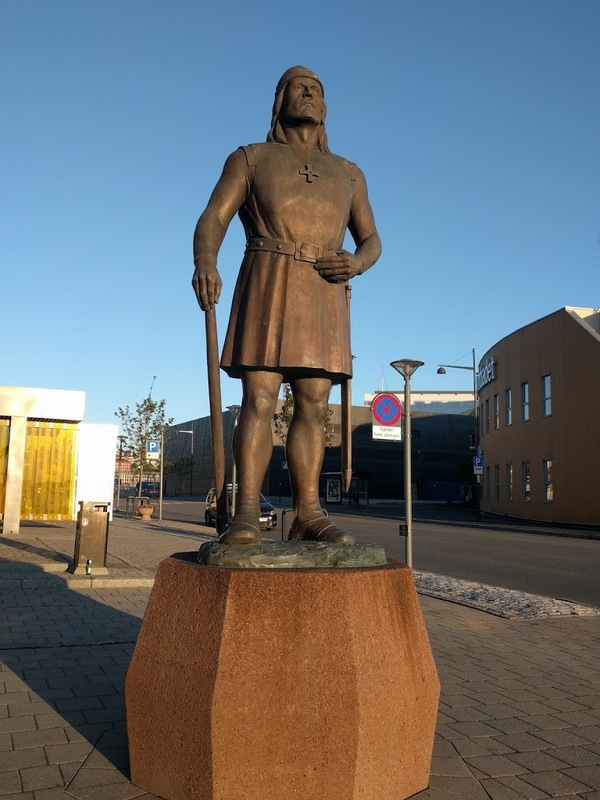 Up by the harbor there is a statue of Leif Eriksson that is an exact duplicate of one that stands in Seattle and was a gift from the city of Seattle to celebrate the 1000th anniversary of Leif Eriksson’s voyage.